Alba is located in the vibrant East Village district of downtown Des Moines, an area known for its eclectic shopping and nightlife. Gift certificates are available. Alba - whose name was inspired by the white oak trees in front of the building and featured on the dining room mural - opened its doors in February 2008. 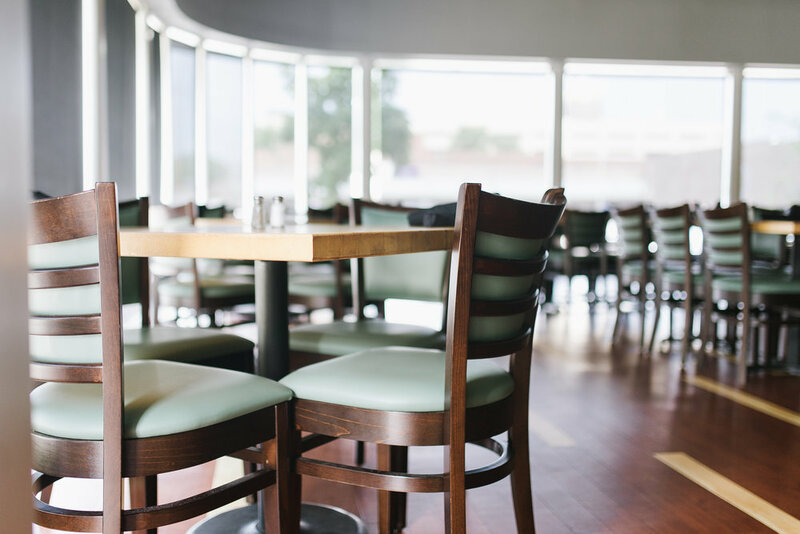 Located in the Historic East Village of Des Moines, Alba is recognized for its contemporary American cuisine, as well as its 1950's Art Moderne exterior and its unconventional interior. Besides the colorful artwork that adorns the walls, one of the most noted features of restaurant is the colorful mix of wood-panel doors that suspend from the ceiling. In addition to the dining room and seasonal patio, Alba also offers a full-service wine bar. 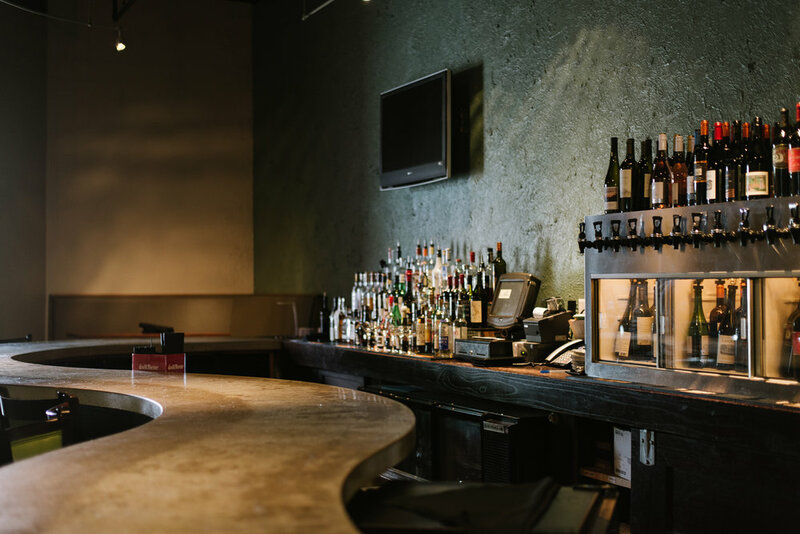 The space's long-winding bar and high-top tables are a great way to experience Alba's cuisine in a more casual environment. Finally, Alba offers a semi-private dining room that seats up to 20 guests and is available upon reservation. Alba was nominated in 2010 and 2016 for a James Beard Restaurant Award and was voted "Best Restaurant" by the Des Moines Register in 2010 and 2011. Alba has also appeared in the New York Times, Chicago Sun Times, Minneapolis Star Tribune, Midwest Living magazine, and Jet Set Delta Sky magazine. Tuesday-Friday, 11 a.m. to 2 p.m.
Tuesday-Saturday 5 p.m. to 6:30 p.m.